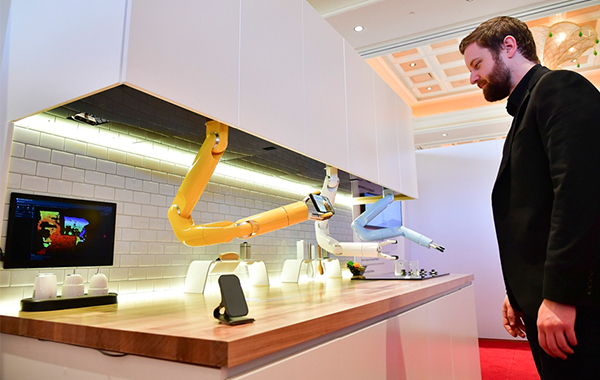 Samsung Electronics Co. has added robotic help in its latest premium line of home appliances and will showcase the new fleet of helping hands in cleaning and cooking at the 2019 Kitchen & Bath Industry Show (KBIS) in Las Vegas running Feb 19-21. 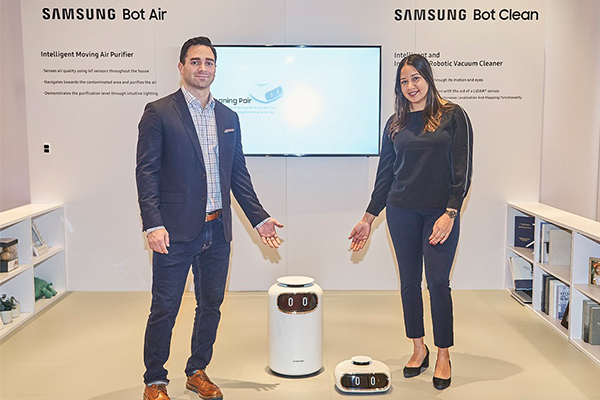 The Korean electronics giant said Tuesday it has opened Samsung Technology Showcase in Las Vegas where visitors to 2019 KBIS trade event can check out the latest addition to its Samsung Bot robot series premiered at CES 2019 last month. The KBIS is North America’s largest trade event for kitchen and bath industry that boasts nearly 600 business participants and over 80,000 visitors from all around the world. The new Samsung Bot products range from a robotic arm for cooking to a robot for growing vegetable and monitoring air quality at home. The robotic arm for cooking, labeled Samsung Bot Chef is designed to lend an extra hand when cooking. It can perform a variety of functions from cutting meat to stirring ingredients and adding seasonings based on uploaded recipe for a dish. Samsung Bot Clean is a vacuum cleaner robot equipped with artificial intelligence-based sensing technology LiDAR that not only cleans floor but also informs about cleaning status. The tech company also unveiled Chef Garden refrigerator that automatically adjusts temperature, humidity level and lighting to the most optimum point to grow herbs like basil and small vegetables such as arugula inside the refrigerator. Also at the Samsung Technology Showcase, the company exhibited Samsung Bot Air for monitoring and controlling air quality at home as well as Gait Enhancing and Motivating System, wearable robot suit for people with a walking disability.